WINDHOEK – The Head of the NAMIBIA Mental Health Unit has called on society to treat mental illnesses like any other health problems, because that is what they are. HILEN NDJABA says mental illnesses are treatable and patients can continue to function in their daily lives the same way other people with problems like heart diseases and diabetes can. She says the rest of society, especially employers and workers, should learn to respect people suffering from mental complications in order to remove the current misconceptions. DR NDJABA says many people are reluctant to disclose their mental medical reports to their bosses for fear of losing their jobs. She says employers, in fact, do not want to take employees back once they produce records of mental illness, which is why people are scared to admit they need help and seek treatment. On the other hand, DR NDJABA says the patients also plead with their doctors to write anything else on their medical certificates, except a mental illness condition. She says companies should put in place initiatives to promote mental health care and support for workers with such disorders, instead of sending them home or victimising them. Medical authorities say mental illnesses are health conditions involving changes in thinking, emotion or behaviour, or a combination of them. They say mental illnesses are common conditions associated with distress and/or problems functioning in family, work or social activities, and they do not discriminate. Anyone can suffer from the diseases regardless of age, gender, income, social status, race or ethnicity, religion or spirituality, sexual orientation, background or other aspect of cultural identity. 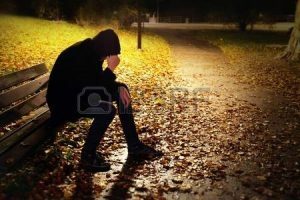 The illnesses can occur at any age, but 75 percent of all mental cases begin by age 24 – and they take many forms, some being fairly-mild and only interfering in limited ways with daily life, like certain phobias or abnormal fears. However, a number of other mental health conditions are so severe that a person may need care in a hospital; yet they can all be treated. NBC News gives an example of LUKAS AMAKALI, a bank employee who the broadcaster says has proven a person with mental illness can be as productive as anyone else can. Mr AMAKALI had ONE of the common illnesses, Bipolar Disorder, involving episodes of mood swings ranging from depressive lows to manic highs, which diagnosed 22 years ago. They admitted him into a Mental Health Unit for ONE, after which he returned to his job at the bank and has since spent many years of service. The government of NAMIBIA is inviting all the people claiming ancestral inheritance to land in the country to come up with proposals for a way forward. State radio, NBC News says President HAGE GEINGOB has made the call while addressing delegates during the 2017 Independence Celebrations in the northern town of RUNDU. 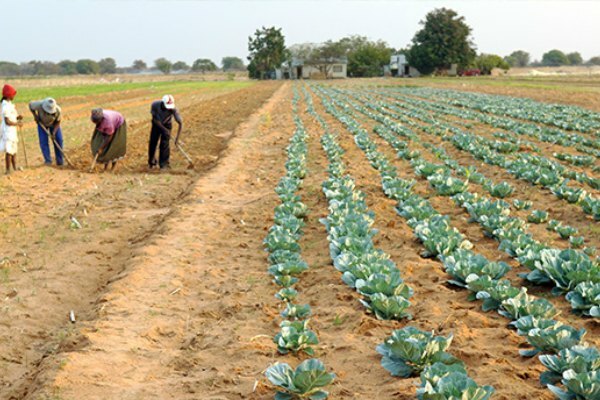 It quotes the Head of State as saying it is vital to reach national consensus through consultations, before proceeding with new measures to address the land problem. Researchers say NAMIBIA inherited many economic, social, and political challenges from the colonial and apartheid eras after independence, including land dispossessions. THE NAMIBIAN newspaper says thousands of landless NAMA, SAN, HERERO, and DAMARA ethnic groups have gathered in the southern town of KEETMANSHOOP to demand their ancestral land. It says they claim they were dispossessed of the land during the colonial GERMAN and apartheid SOUTH AFRICAN regimes. ONE MP of the ruling SWAPO Party has addressed a mass meeting held under the banner of the LANDLESS PEOPLE’S MOVEMENT at the J STEPHANUS STADIUM in KEETMANSHOOP. THE NAMIBIAN quotes BERNADUS SWARTBOOI as saying the gathering has been the most glaring display of legitimate discontent in the administration of the country, calling on the President to address the issue now. NBC News also quotes President GEINGOB as saying the land issue is complicated, because no records exist to clarify, for example, to whom the land of the capital, WINDHOEK, and surrounding areas belong. He says the SAN people or BUSHMEN also seem left out of the discussion, even though they have more right to claim a large proportion of the country than any other group of NAMIBIANS. President GEINGOB says NAMIBIA wants to apply fairness in governance, and not visit wrongs done by the fathers on the children of today. The NAMIBIAN Leader has asked all citizens of his country to hold hands in dealing with the land problem, to get it solved amicably; and while maintaining a strong foundation of peace, stability and unity. VICTORIA – President DANNY FAURE of SEYCHELLES has met with the IMF Executive Director for the ASIA and PACIFIC constituencies and small island states. State radio, SBC News says HEENAM CHOI has paid a courtesy call on President FAURE at State House in the capital, VICTORIA. It says discussions between the Head of State and the IMF boss have touched on ways to ensure equal distribution of the national wealth to the population. 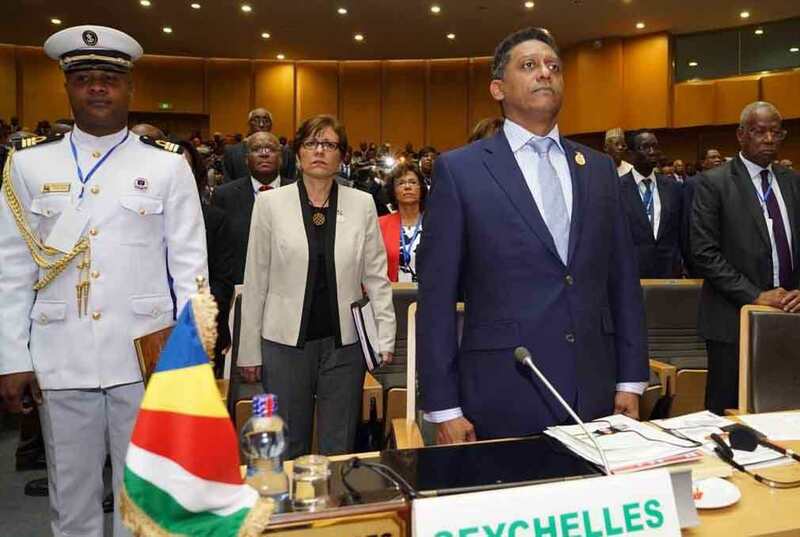 They have also talked about means by which the IMF can help SEYCHELLES regarding the issue of de-risking, amid reports saying international banks are cutting off their correspondent relationships with the SADC country. Economic experts say de-risking, especially in a business context, means taking steps to make something less risky or less likely to involve a financial loss. Mr CHOI has emphasised on the importance for countries to have sound and regulatory systems on anti-money laundering and safety issues, which he says might be ONE of the major IMF roles. He says the SECOND role the world body can play is to strengthen dialogue with international rule setters like the EIS and the FSB. The IMF Executive Director for the ASIA and PACIFIC constituencies and small island states says through dialogues, like the one he has held with the SEYCHELLES Leader, the IMF raises the de-risking issues. LUSAKA – President EDGAR LUNGU of ZAMBIA has ordered thorough investigations into the alleged killing of an officer of the ZAMBIA Air Force at a police station in the capital, LUSAKA. State radio, ZNBC News says Sergeant CHOONGWA died while detained at the WOODLANDS Police Station. It quotes LUSAKA Provincial Police Commissioner NELSON PHIRI as saying the late ZAMBIA Airforce Officer died allegedly after other inmates brutally assaulted him. Defence Minister DAVIES CHAMA and Home Affairs Minister STEPHEN KAMPYONGO have since issued a joint statement, saying the probe directed by the Head of State is already underway. Defence Minister CHAMA says investigation will be done jointly, and he has called for calm between the Police and the Air Force officers. Home Affairs Minister KAMPYONGO says there will be no sacred cows in the exercise, and anyone found wanting is going to get legal punishment; although cases of such nature require serious investigation and conclusion. Meanwhile, High Court Judge CHALWE MUCHENGA has sentenced an officer of the ZAMBIA Air Force to 10 years imprisonment with hard labour for manslaughter. SONNY WALANGA shot and killed DORCAS CHIBWE after she and her friends, who were drunk, refused to stop at the TWIN PALM ZAMBIA Air Force residential check point. Judge MUCHENGA said the incident did not warrant the force that the convicted soldier used because he knew the people who were in the car. He also said the officer should have considered the fact that TWIN PALM is a residential area, while the deceased and her friends were heading to their house and not the armoury. 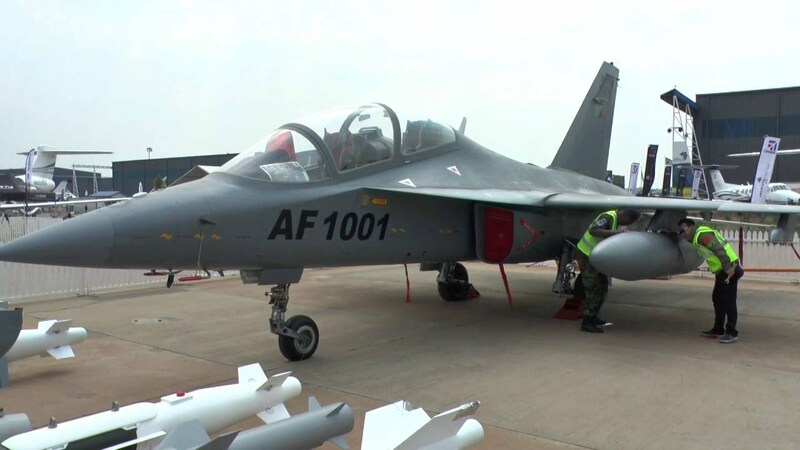 ZNBC News says the Court reduced the charge against the ZAMBIA Air Force Officer to manslaughter because he officer was on duty when he committed it. BLANTYRE – The former ruling MALAWI CONGRESS PARTY, MCP, is facing demands for compensation from the KARONGA Detainees and Retainers Task Force. The organization brings together victims of forced exile and political detention during the leadership of the late former Dictator HASTINGS KAMUZU BANDA, MCP lifetime leader. State radio, MBC News quotes Task Force Chairperson CHARLES M’DIMBA MWENIFUMBO as saying they want the MCP to compensate them immediately. 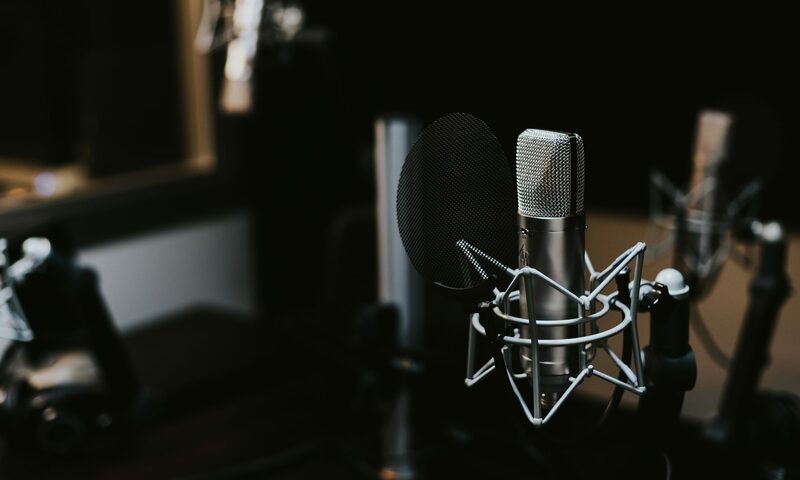 However, the national broadcaster has not given figures of the proposed compensation, and there has been no response from the MCP – which ruled MALAWI for more than 30 years. The former ruling party won all the legislative seats in the 1961 NYASALAND Elections, before the country gained independence from BRITAIN to become MALAWI in 1964. TWO years later, MALAWI became a republic in 1966 and the MCP declared itself the only legal party and governed for the next 27 years. The group turned the country into a ONE-party state where all adult citizens were required to be party members and had to carry party cards in their wallets at all times. The MCP lost its monopoly on power in MALAWI in a 1993 referendum, before it was roundly defeated in the FIRST free national elections the following year. MAPUTO – Health authorities in MOZAMBIQUE have expressed worry over the increased number of people dying of malaria, despite national prevention measures in place. They say the mosquito-borne disease is spreading and killing, although the State has taken a number of actions to fight the epidemic, including massive free distribution of mosquito nets treated with insecticides. 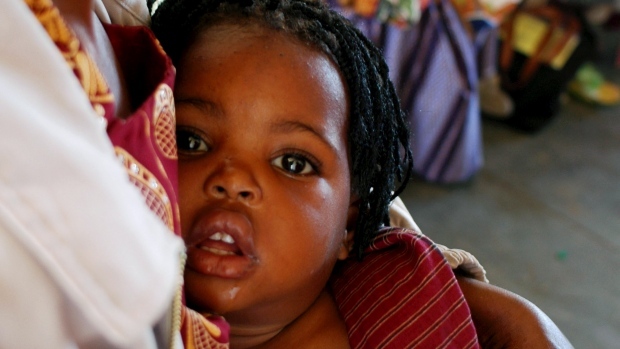 The government says malaria has killed about 300 people out of more than ONE-MILLION cases diagnosed countrywide. Experts in the Health Ministry Technical Council have met this weekend in the capital, MAPUTO, to discuss the most effective actions to deal with the deadly epidemic. National Public Health Director FRANCISCO MBOFANA says the number of new malaria cases has become alarming, especially during the current rainy season. It says mosquitoes have multiplied rapidly during the period due to an abundance of stagnant water pools, which enable them to reproduce swiftly. The MOZAMBICAN National Public Health Director says the central regions of TETE and MANICA are the worst hit by the malaria epidemic. 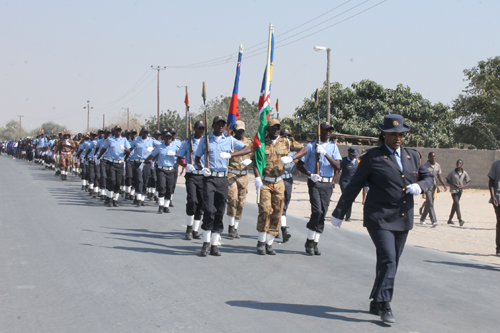 RUNDU – NAMIBIA has held its national independence celebrations in the northern KAVANGO EAST Region for the FIRST time since the end of apartheid in MARCH 1990. 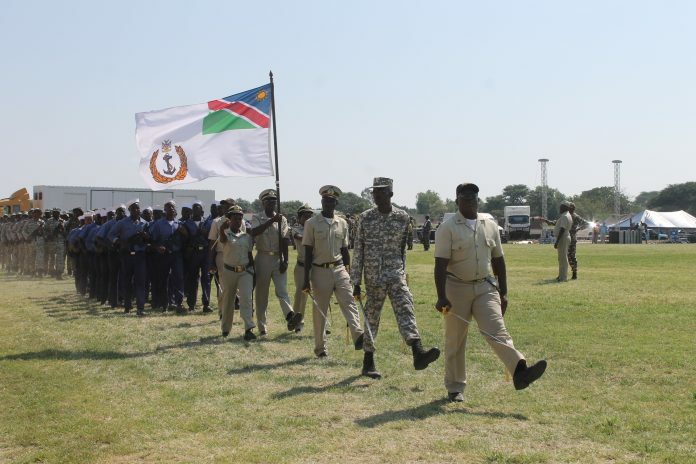 State radio, NBC News says thousands of NAMIBIANS flocked to the RUNDU Sports Stadium to commemorate 27 years of freedom. It says former Presidents SAM NUJOMA and HIFIKEPUNYE POHAMBA have also joined other dignitaries at the event, where President HAGE GEINGOB has addressed delegates. The Head of State has commended the leadership of the KAVANGO EAST and WEST regions for organising an outstanding event. President GEINGOB has condemned people who had campaigned for a national boycott of the celebrations, who he accuses of trying to disturb the peace and progress of the SADC State. He says the principle of HARAMBEE means peace and will continue to promote one-ness of mind and effort amongst the people; and unity will safeguard national sovereignty. President GEINGOB also says after 27 years of peace and freedom, the overriding feeling all NAMIBIANS should have when celebrating should be of gratitude; and the government has managed to maintain peace and promote unity despite many challenges. He has quoted MALCOM X, an AFRICAN-AMERICAN MUSLIM minister and human rights activist, saying: YOU CANNOT SEPARATE PEACE FROM FREEDOM, BECAUSE NO-ONE CAN BE AT PEACE UNLESS HE HAS HIS FREEDOM”. President GEINGOB says NAMIBIA was born 27 years ago, into freedom and sovereignty – with the legal right to determine its own destiny; yet some people are keen to boycott their own achievements of national reconciliation, freedom of movement, and of speech. The Head of State emphasises national unity has been a key contributing factor to the prevailing peace, and the narrative of ONE NAMIBIA, ONE NATION, emphasises the importance of such a desire. FIRST Lady MONICA GEINGOS of NAMIBIA says communities should join forces to curb Gender Based Violence in the country. State radio, NBC News says she has made the call while addressing UNIVERSITY OF NAMIBIA students in the capital, WINDHOEK. It says Gender Based Violence remains a national concern, despite numerous efforts by different stakeholders to address the issue. The NAMIBIA WOMEN LAWYERS ASSOCIATION and the Office of the FIRST Lady have jointly addressed the students on how Gender Based Violence can be resolved. The Association is a group of female legal practitioners aiming to network and educate undergraduates on campus on matters of national interest. 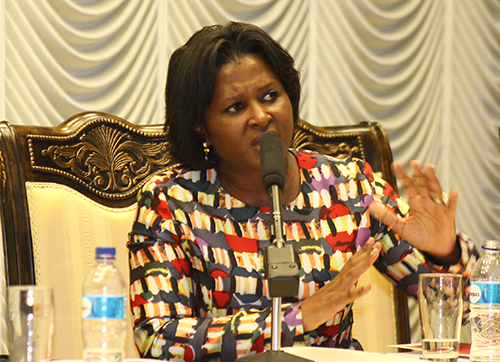 FIRST Lady GEINGOS has further advised people facing GBV issues in their households to report them to the relevant authorities, to avoid having the situations getting worse. 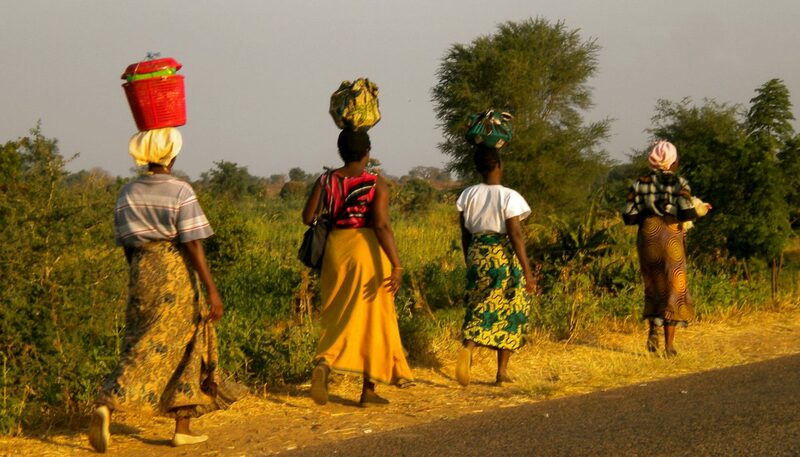 NBC News says more than 13-THOUSAND cases of GBV were reported countrywide in the past SIX years, a situation which is quite worrisome for a population of slightly above TWO-MILLION. The process to appoint an interim the SOUTH AFRICAN Broadcasting Corporation, SABC Board will now begin in earnest. SABC News says the National Assembly adopted the report of the adhoc committee looking into the fitness of the SABC Board. Committee Chairperson VINCENT SMITH had earlier told the House it was evident the SABC Board was set to fail from the very beginning. Opposition DA Deputy Chief Whip MIKE WATERS says the report reads like a SHAKESPEAREAN tragedy, with Communications Minister FAITH MUTHAMBI playing Lady MACBETH, and former COO HLAUDI MOTSOENENG acting as Lord MACBETH. The lawmaker says the Communications Minister should be fired and criminally charged for her role at the national broadcaster. SABC News also says the National Assembly has adopted an adhoc committee report highly critical of Minister MUTHAMBI into the affairs of the SABC. It says the UNITED DEMOCRATIC MOVEMENT has voiced objections to the fact that Mr MOTSOENENG was not afforded the opportunity to reply in person. Mr MOTSOENENG says he will seek legal advice after he was refused the right to reply and he will hold a news conference to set the record straight. Earlier, the ECONOMIC FREEDOM FRONT said it wanted criminal charges to be laid against the people implicated in the report. Party MP FANA MOKOENA says Minister MUTHAMBI used an illegal Memorandum of Incorporation for the running of the SABC. The group says it recommends criminal prosecutions of corrupt individuals in the entity and, most vital, the President to fire the incompetent minister. The SOUTH AFRICAN opposition party says it hopes the Head of State will set aside his alleged factional and self-enrichment interest and do the right thing, for once in his life.